but iv'e moded it ! 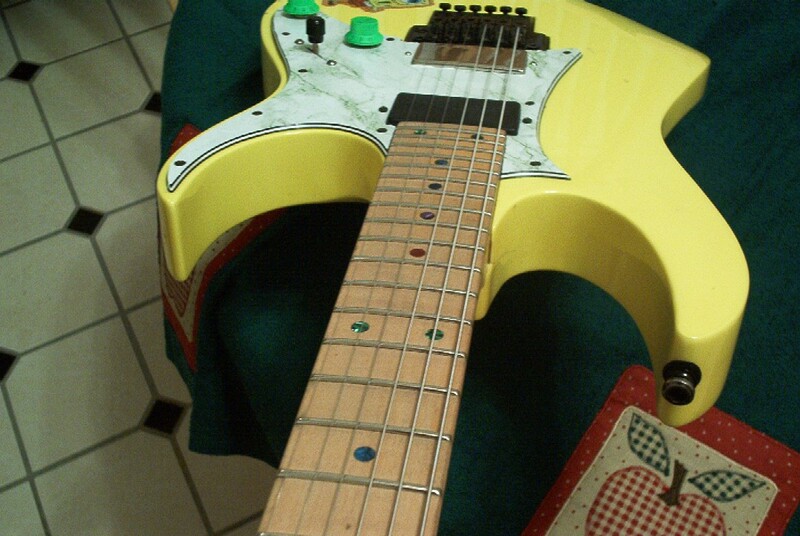 , iv'e changed the pickups to the V7 V8 , and i coil splitted the neck V8. Being just a little hypocritical here, are we? i usually dont like gold hardware, but the BFP looks great! Changing pickups is a mod. So says a Mod. You mean like not writing "Dude - you've got a 270 - your name should be reversed." 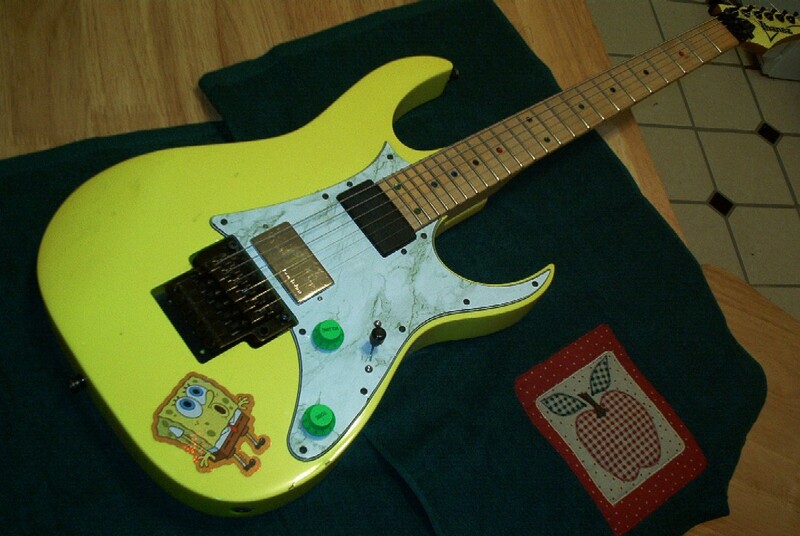 When I get my neck back from Jeremy I'll post a pic of my 550DY-SB (Sponge Bob). I CAN'T WAIT to get that guitar back together! if i sent my RG neck to jeremy for a vine inlay, how much approx. would it cost? Not much of a mod, but definitely expensive and major! Here's my RG470 with an Edge in it. And I think that UV with the swirled pickguard is a kickass mod. Swirling a pickguard is not something any average dumb **** can do. It looks GREAT too. My jaw dropped. Really looks nice with that binding!